We bring golf course quality turf to your home. Produces a full stand of turf in thin to bare areas if properly watered. Season long control that provides 5-7 months of protection. Highly recommended for lawns with a history of grub control problems or for lawns in areas with widespread grub populations. This product must be watered in to be effective. Children and pets may play on treated lawns after the product is watered in. 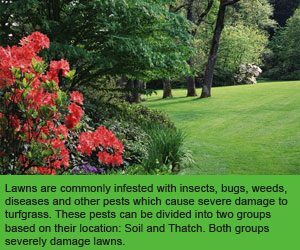 Preventative applications will keep damage from occurring throughout the year. Product gives protection for 21-28 days. Can be requested by a single application on an as needed basis. Reduces the amount of “normal” plant loss when applied preventatively. 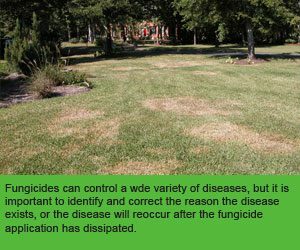 Lawn will not have any disease damaged brown areas. Effective control for Yellow and Purple Nutsedge. Applied as a post emergent when nutsedge is active. People and Pets may re-enter after 24 hrs. Best applied 2 days after mowing. 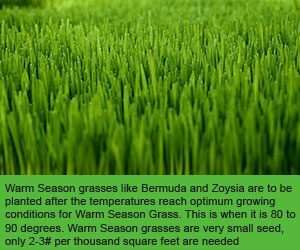 Will improve lawn density by the addition of millions of seed per 1000 sq.ft. Aeration allows water, oxygen and nutrients to get to the root zone up take level. 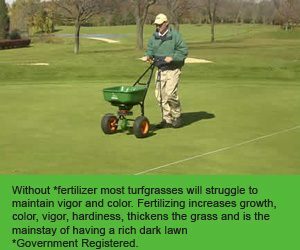 Starter fertilizer assures a healthy strong stand of turf able to stand up to the stress of next summer. Thatch layer will be reduced. 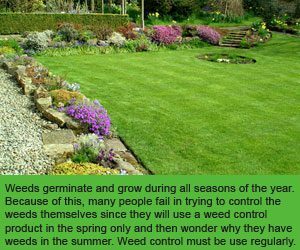 Controls unwanted broadleaf weeds and weedy grasses in non-turf areas such as driveways and sidewalks. Provides aesthetic appeal to difficult to weed areas. Up to three applications provides season long control. Quickly controls actively feeding grubs. Grub damage can occur in spring and/or fall. With The Greenskeeper Lawn Service, your lawn can look like a professionally maintained golf course! We provide golf course quality turf for your home or business through environmentally sound fertilizer, weed, and integrated pest management services. The Greenskeeper Lawn Service is led by one of only a few certified golf course superintendents in the region. 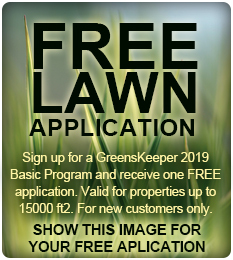 Call today for your free lawn analysis and quote – 618-433-9696.